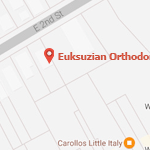 At Euksuzian Orthodontics, we believe everyone deserves a healthy, beautiful smile – and we make the process of achieving that smile as quick and convenient as possible. In addition to the various treatment methods we offer, we can also provide an advanced supplement to treatment that’s clinically proven to move teeth faster and dramatically cut treatment time: AcceleDent® Optima™, the most advanced accelerated orthodontic device with a comprehensive suite of technological features. Simply put, AcceleDent Optima is an advanced orthodontic system designed to stimulate teeth to move faster and shorten treatment times – in many cases, cutting total treatment time by up to 50%. It is simple, safe, and easy to use with optional Bluetooth capabilities. AcceleDent Optima is compatible with any form of treatment, so whether you’re using traditional braces, Invisalign, or any other form of treatment we offer, AcceleDent Optima can help you achieve a healthy, beautiful new smile faster. AcceleDent Optima harnesses advanced orthodontic and dental technology to influence teeth to move to new positions faster, shortening treatment time. The secret is their patented SoftPulse Technology: the high-tech AcceleDent Optima device uses tiny, gentle micropulses to stimulate the teeth and help them move faster through the gums. Over time, these vibrations can cause the teeth to move up to 50% faster, drastically cutting overall treatment time. Using AcceleDent Optima couldn’t be easier. The device is composed of two parts: a mouthpiece and an activator, which contains the complex technology and machinery that produce the micropulses. To use it, simply place the mouthpiece in your mouth, bite down to keep it in place without using your hands, and turn it on for twenty minutes – that’s it! It takes only twenty minutes a day and is completely hands-free, leaving you free to read, use your phone, or surf the internet while you use it. Is AcceleDent Optima Right for Me? 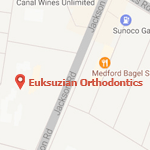 AcceleDent Optima isn’t an orthodontic treatment in itself: it’s a supplemental treatment, which means it can be used in conjunction with almost any other form of orthodontics. AcceleDent Optima is perfect for anyone who wants to have their new smile before a certain date – such as a wedding – or just wants to get excellent results on a shorter timeline. It’s a simple, non-invasive treatment with Bluetooth capabilities that’s extremely convenient to use. No matter what your orthodontic condition or what treatment method we’re using, AcceleDent Optima presents a convenient, comfortable option for speeding up your treatment and helping you achieve your healthy, beautiful smile faster. If you’re interested in learning more about AcceleDent Optima, feel free to reach out to us at our contact page or schedule your consultation using our easy online form. We can’t wait to hear from you!